I’ve started a new video series for Bleacher Report’s Advanced Program in Sports Media. It’s called “How I Got the Story,” and it’s as simple as that: A writer telling me how they went about creating a story or a series of stories, from idea through reporting and writing. I know Mike and I know that Mike’s not the most colorful guy in the world. He’s a very nice guy. Real good guy. Not terribly colorful. And he was unlikely to play along with exactly what they wanted. To hear how Danny got a good story anyway, watch the video. We’ve all done it. Well, not you, but the rest of us have. We see a play go wrong for an NFL team, and we can see who screwed up. We diagnose the blown assignment or mental lapse and assign blame to the offending player. And really, unless we were in the huddle, we have no idea if we’re right. Seattle sports radio personality Danny O’Neil saw Seahawks lineman Justin Britt miss a block against the Vikings last week and tweeted about it. He later realized he hadn’t known what he was talking about. “I was absolutely, unequivocally, undeniably wrong,” ONeil wrote in an unusually frank bit of self-reflection on MyNorthwest.com headlined “When it comes to diagnosing an NFL play, observers have limitations.” It turns out, O’Neil wrote, that the unblocked defender wasn’t Britt’s assignment. Someone else was supposed to make that block and didn’t. There is a whole corner of today’s NFL coverage that speaks with authority on exactly what occurred on a given play, which is undermined by one simple fact: No one outside the team’s coaches and players can say for certain either what a player is asked to do on a specific play or how he is asked to do it. It’s all guesswork. An analyst can say what they think happened, but they don’t know. Not unless a coach or player tells them, and if you’ve ever listened to an NFL coach’s press conference you probably have an idea of just how hard it is to extract information about who goofed up and why. He makes a great point, and one any observer should keep in mind. We know what we can see. Beyond that, it very quickly gets into guesswork until we get the information we need to create informed analysis. A little bragging here, but with a message: Bleacher Report Editor in Chief Joe Yanarella has been named Digital Editor of the Year by Adweek. Yanarella, the story notes, has led the build-out of a writing staff of 300, all of whom are paid. And the content that staff creates led Adweek to also name B/R as the Hottest in Sports Media on its annual Hot List. I won’t give away Joe’s age. He’s younger than I am but old enough to have voted for or against Ronald Reagan for president. That also means he’s old enough to have been well into that journalism career before the mobile revolution, before Web 2.0 and even before the web. 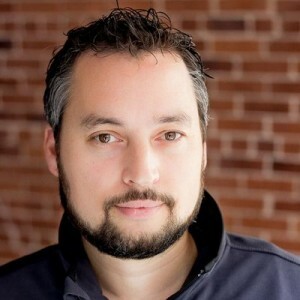 But he remade himself not just as a digital journalist, but as an innovative leader in an area—mobile- and social-first content—that didn’t exist for his first quarter-century in the business. It seems to me the key to a successful media career in the foreseeable future will be the ability to remake oneself, to evolve, adapt and even lead in environments that are in flux or new. Joe Yanarella is a great example of that. While racism and threats to the physical safety of black students are the most important issues amid the unrest at the University of Missouri, a controversy around the rights and responsibilities of the media has lingered all week. As you know, the chancellor of the University of Missouri and the president of the state system resigned amid growing protests over the administration’s slow and tone-deaf response to a series of racist incidents and what black students say is an unsafe and hostile atmosphere for them on campus. Here’s a timeline of the growing tensions on campus at the Maneater, the student news outlet, and here’s a New York Times story about the two resignations. This Mic.com piece about hunger striker Jonathan Butler lays out the grievances against system president Tim Wolfe, who resigned Monday. The media controversy arose from an incident Monday, when protesters, led by the group Concerned Student 1950—whose name references the year blacks were finally admitted to Mizzou—were celebrating the resignations on the Mel Carnahan Quadrangle on campus and vowing to continue to fight. “This is just a beginning in dismantling systems of oppression in higher education, specifically the UM system,” Marshall Allen of Concerned Student 1950 told CNN. Tim Tai, a Mizzou student photojournalist who was on assignment for ESPN, got into a confrontation with protesters near the tent city they’d set up as a “no media safe space,” on the quad. The incident was captured on video by Mark Schierbecker, and that video went viral. A few of the people in the video who tried to keep Tai and Schierbecker away from protesters were Mizzou staff or faculty. Some of them later apologized and may face discipline. But to me the most interesting aspect of the incident was the argument between Tai and the protesters, which in the days since has been taken up across the internet. The protesters argue that Tai, and all media, should respect their desire to keep the media out of their “safe space.” Tai’s argument can be summed up by his comment at 1:45 of the video: “The First Amendment protects your right to be here, and mine.” He mentions at one point that there’s a state law specifically declaring the Carnahan quad a public space. Tai, whose photos were published by ESPN.com, was lauded by many journalists around the country for keeping his cool while defending his rights as a journalist. On the other hand, the arguments made by Tai and those who supported him were widely denounced by others, who argued that whatever the rights of journalists, they have an obligation to treat subjects, particularly subjects who are in danger or pain or both, more respectfully. “I think we underestimate how deeply broken our (media) relationship is w/minority communities,” tweeted Washington Post reporter Wesley Lowery. Tai, I should note, said on several occasions that he was uncomfortable having become part of the story, and that his squabble with protesters was not nearly as important as the larger issues. I’m a little perturbed at being part of the story, so maybe let’s focus some more reporting on systemic racism in higher ed institutions. It’s also worth noting that the protesters changed their approach to the media on Tuesday. Kyle Stokes, a public radio reporter in Seattle who went to Mizzou, wrote a blog post headlined Why We Were There that laid out the media argument—that the media is tasked with being on site to get the true story and tell it to the public, which demands to know it. My first reaction to this confrontation Monday was to side squarely with Tai. I found the actions of the protesters disturbing. I thought their argument that they had a right to exclude anyone from the quad because they’d declared it their space was absurd. I also thought they were being undemocratic, that having won a victory, they were using their newfound power in a bullying way. In the closing seconds of the video, a mass of protesters walking in a close group push Tai out of the scene completely. “It’s our right to walk forward, isn’t it?” one woman says. “I believe it’s my right to walk forward.” I’ve known fourth-grade bullies who were more subtle than that. I tweeted in support of a piece that argued much the same thing. And then something even more disturbing to me happened. That tweet got a few dozen likes and retweets, and everyone who liked it or retweeted it whose race was apparent to me was white. And it’s not like all my followers are white. Meanwhile, I found myself arguing on Twitter with black journalists I respect. One, who doesn’t like it when other writers embed her tweets in their stories, wrote, “Look at it from their perspective. If subjected to obscene harassment for months bc of protesting, would I want 2 b bothered?” and argued that a good reporter should respect being told no, consider the motivations, and find other ways to get the story. A good summation of the argument against those of Tai and Stokes is made by Melissa McEwen at the Shakesville blog in a post headlined Stop. Just. Stop. But in this country, with our reflexive reverence for a policy of “free expression,” as if speech exists in a void, we’re more worried about the supposed “intolerance” expressed by marginalized people who draw boundaries in defense of their own safety, because a minor restriction on a privileged person’s unfettered right to engage in hate speech, or assert their “right” to access to marginalized people’s spaces and lives, is considered a more burdensome encroachment on freedom than the right of people at whom hate speech is directed to live a life free of rhetorical terror. I’m not sure where I stand at this point. One thing I’m sure of is that I’ve had to rethink some of my assumptions. The writer whose tweets I didn’t embed above has argued that tweets by people who aren’t public figures should not be considered fair game for journalists to reproduce. This is not a new or unique idea. Here’s a story by Amanda Hess of Slate from last year about a controversy around the privacy of public, which is to say unprotected, tweets. The idea that journalists should respect the “privacy” of tweets, which are published online and have been ruled public, is similar to the idea that journalists should respect the privacy of a space carved out by a group of people, even if that space is on public ground. I have problems with both of those ideas. But I have a better understanding of them than I had a week ago, and, as you can see in these last few paragraphs, I’m more likely to respect the requests of those who subscribe to them than I used to be. Social media is changing notions and definitions of what is public and what is private. Those definitions are also subject to change in what people my age tend to call the real world—as if social media weren’t part of the real world. We don’t all have to agree on the definitions. But a smart, ethical reporter has to understand that those disagreements are real, and worth considering. 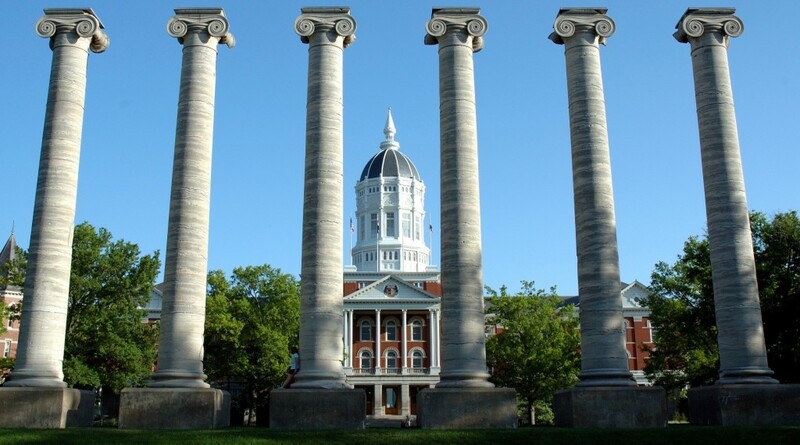 Photo of the Columns at University of Missouri by Adam Procter/GNU Free Documentation License. Two interesting journalism stories have popped up in these final stages of the baseball postseason. First, and more fun, when the New York Mets beat the Chicago Cubs in Game 6 of the National League Championship Series last week, the New York Times created an early-20th century sports page and populated it with Dan Barry’s delightful game story, written in the language of 1908. That’s the last year the Cubs won the World Series, as you may have heard. I’ve read Red Smith’s classic column from that day, but I’ve never read, or heard of, Kempton’s piece, which is a great example of a reporter getting out of the pack. And I couldn’t find it online. I’d love to read it. Have you ever seen it? More seriously, Fox wrestled with a serious journalistic question during the broadcast of Game 1 of the World Series Tuesday night. As Adam Kilgore of the Washington Post writes, the network had to figure out what to do with the information that Kansas City Royals starting pitcher Edinson Volquez’s father had died earlier in the day. That information was circulating on social media, but it wasn’t clear whether Volquez knew. 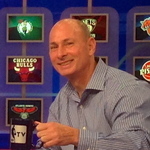 “If they delivered [the news] to viewers,” Kilgore writes, Fox producers “believed there existed a nontrivial chance they would also inform a man on live television of his father’s death.” Fox color analyst Harold Reynolds pointed out that the clubhouse TVs would be carrying the Fox broadcast, Kilgore writes, so Volquez would likely hear about it if Fox reported the news. Kilgore quotes Fox reporter Ken Rosenthal liberally as he recounts the conversation and thought process behind the decision not to report the story—even though it was all over Twitter—until Volquez left the game and the Royals let Fox know he’d been informed of his father’s death.